A unique aspect of Kind LED is that the founders have a great deal of experience utilizing High Intensity Discharge Lighting to grow. I mention this because of an eventual choice that was made by the founders. Founders at Kind were skeptical when they initially considered making the leap from HIDs to LED grow light use many years ago. What founders at Kind wanted most was to cultivate and grow plants under a light that was energy efficient, but still produced high quality yields in the end. In the early days of LED technology, this potential seemed out of reach, but times have changed and LED technology has improved vastly. 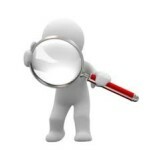 Kind associates identified the improvements in LED technology and took action. It should be noted that the company had already experienced success in the realm of HIDs, which should only work to reveal that making the transition to LED grow light technology must have been for good reason. It was. According to Kind LED, the ongoing improvements in LED technology continue to act as a catalyst for revolution in the realm of grow lights. Kind LED has become part of the revolution and has focused great effort to research and develop LED technology and grow lights since making the transition. The K3 and K5 Series LED grow lights from Kind are products of years of research and development and are now examples that support the use of LED grow lights for indoor growers. Kind LED grow lights utilize a proprietary spectrum that includes 12 bandwidths. 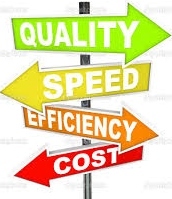 Associates at Kind have decades of experience in the business and their products are growing in popularity. The LED revolution is moving forward, and Kind LED products are a part of it all. 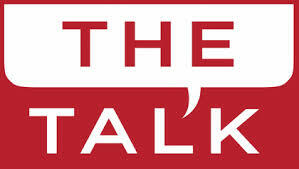 It should also be noted that Kind backs up its tech and guarantees its effectiveness. Kind offers a 90 day risk free trial period because they have unwavering confidence that their grow light will meet and exceed expectations. The K3-L600 LED grow light by Kind LED is a grow light built to emit a 12 band proprietary spectrum of light that Kind LED terms the “perfect spectrum.” The K3-L600 is one of Kind’s more powerful grow lights and emits a brighter light due to its optimized driving current which increases diode efficiency and output. The K3-L600 incorporates 150 3W diodes which run at 650mA. The secondary optical lens on the unit magnifies PAR and according to Kind, increases the plant canopy penetration by up to 200 percent. The K3-L600’s secondary optical lens is incorporated to maximize photosynthetic penetration into and through the plant’s canopy. The purpose for the secondary optical lens is to ultimately increase under-canopy production and yield. For cooling, the K3-L600 calls on extra large heavy duty 2CM aluminum heat sinks and quit fan technology to dissipate heat energy. Kind relays that the K3-L600 will match or outperform the production of any other comparable 3w led grow light on the market, even the higher priced brands. This is a unique guarantee made by Kind regarding the K3-L600 and one that infers great confidence in the product. Kind LED reports that their grow lights are much more efficient than standard HIDs and use only about half of the electricity while producing greater yield. As with most LED grow light technology, the grower can save money over time by cutting costs associated with cooling fans and internal ventilation systems since LED lights produce less heat than standard HIDs. Many studies, including the research done at Kind have documented LED efficiencies over HIDs. Besides the internal circulation fans that are built into the K3-L600, no other cooling technology is necessary to keep the K3-L600 running at an optimal temperature. This aspect of the K3-L600 allows growers greater control over the grow environment temperature and all but eliminates the potential for plant burnout. The light spectrum emitted by the K3-L600 is designed to be totally useful by the plants so little excess energy is created and wasted. 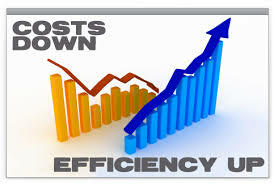 This is how the 12 band spectrum can help to save energy and, over time, money on lower electrical bills. The efficiency of the K3-L600 LED grow light simplifies the growing process for the grower which ultimately allows the grower to focus attention on other variables. A grower is free to “fine tune” method and procedure in an effort to produce the best grow outcomes possible. 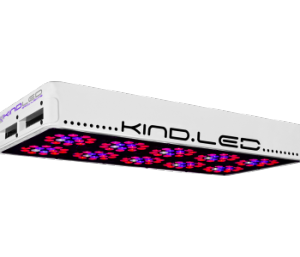 Kind LED has developed a light recipe that includes 12 band spectrum to act as the “perfect recipe” for stimulating plant photosynthesis. The light is emitted by three watt diodes that run at 650ma as opposed to lesser grow lights that run at 500 ma and integrate on 6 bands or fewer into their grow light recipe. Many other grow light companies may only incorporate 2 or 3 colors into their grow light spectrum and in doing so, miss out on the full spectrum compliment of light that plants require. This is not a problem with the Kind 12 band spectrum proprietary blend. The Kind proprietary light recipe will elicit robust and full plant growth during all stages of a plant’s grow cycle. Vegetative and flowering stages are covered with the K3-L600 LED grow light from Kind. To enhance the light penetration further, Kind incorporates the secondary optical lens to push the emitted light further into the plant’s canopy to encourage robust undergrowth. Kind research reveals that this action increases the plant’s overall yield since there are ultimately more sites on the plant for flowering to occur. Lifespan – LED grow lights run much more efficiently than HIDs or fluorescent lights and therefore have a much longer lifespan. LEDs are rated to last 50,000 hours or more. This is over double the lifespan of other non-LED grow light products. Money Saver – Over time, using LED grow lights can save a grower thousands of dollars in savings due to energy and equipment savings. The end grow product can be better quality which can equal bigger profits for the grower. Affordability – Although the price of the Kind K3-L600 LED grow light is just under $900, the product matches up well versus other grow lights that are even more expensive. Savings over time can add up and more than pay for the initial investment. So, although the light is expensive, it should definitely not be dismissed due to the initial cost. Many note that the Kind LED product is one of the only companies that produce LED grow lights packing a 12 band spectrum punch. It is also convenient for many customers to review the Kind research which shows Kind grow light data that includes spectrometer readings and PAR data. Those that have purchased the Kind LED grow lights also note the sense of security they have since Kind offers the 90 day full cycle guarantee. Others note how easy the set up of the grow light is compared to HIDs that they previously used. Customer service and support have been positive experiences for Kind customers too. Given a problem, Kind associates ameliorated the issue quickly. Overall, the Kind product and company appear to be as advertised. The K3-L600 is one of the top products Kind offers and is most definitely worth serious consideration. The product has been tested and has shown positive results. It has good power and excellent light penetration. The company offers lifetime customer, technical and grow support assistance once you’ve purchased a Kind LED grow light. 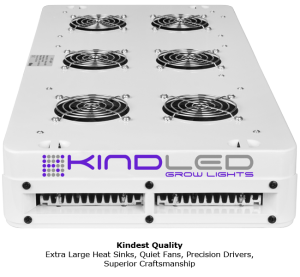 Kind offers a three year warranty and they guarantee the effectiveness of their grow light product. It is hard to argue against this package. LED grow lights are the new revolution, and the Kind K3-L600 is helping to lead the way. Now it is time for you to decide if the K3-L600 can help you in the same way that it has helped so many others. It is decision time. Time to grow big or grow home! Love this light!!! Noticable results in just 24hrs. No more HPS for me thanks you guys looking forward to purchasing the K5 1000. Oh ya I’m running the K3 L600. cya a friend.